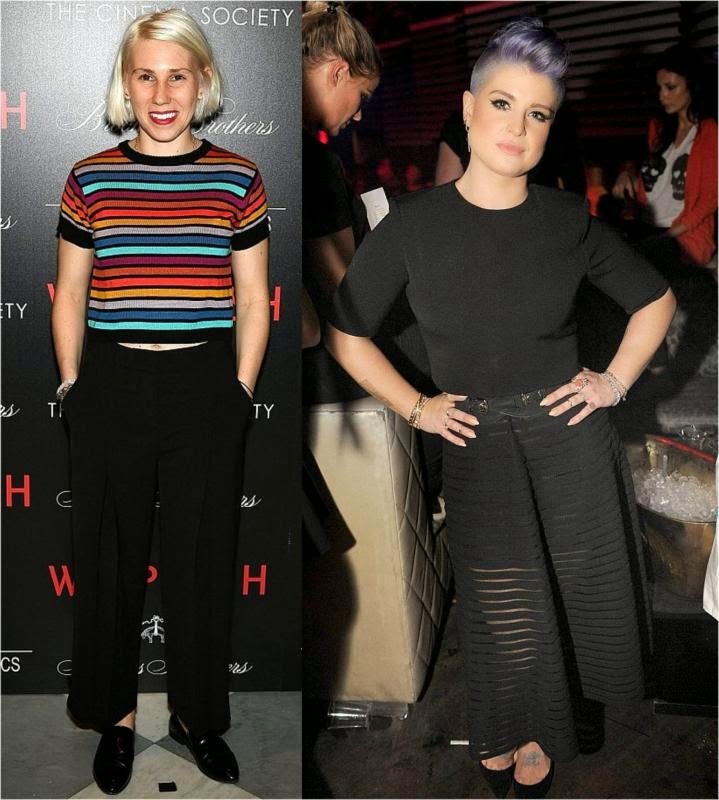 Zosia Mamet and Kelly Osbourne were both photographed wearing versatile Cynthia Rowley pieces recently! The Girls' actress looked bold and bright in her Short Sleeve Striped Sweater ($135) at a screening of the film Whiplash in New York City. 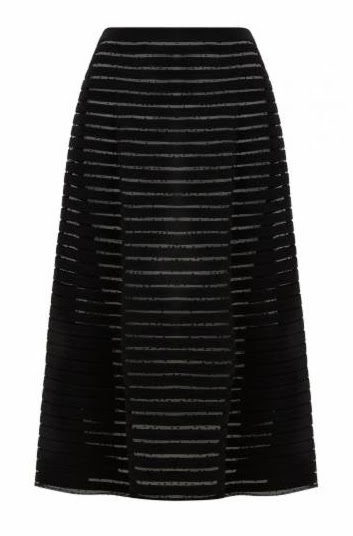 Meanwhile in Miami, Kelly Osbourne rocked the Crepe Mesh Midi Skirt ($325, www.cynthiarowley.com). Amanda Seyfried and Katharine McPhee were recently photographed wearing the same styles. Here are better photos of the actual garments. 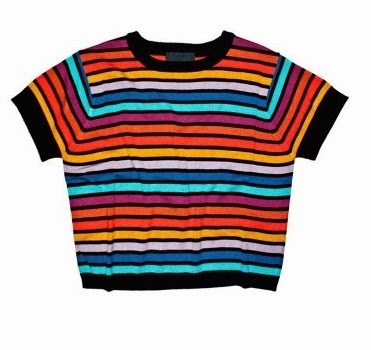 If you like this striped sweater (or any sweaters), you may also want to read our recent blog post about sweater musts for Fall/Winter 2014. Learn more about the Cynthia Rowley collections.